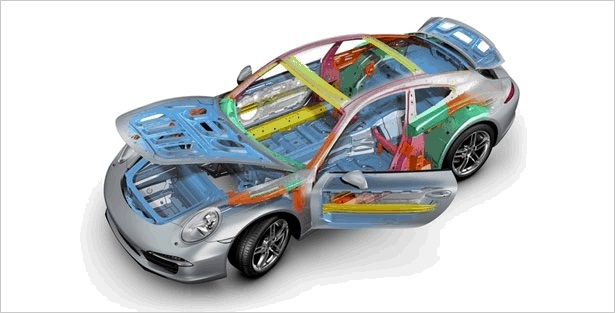 The new 911 fulfils two structural design requirements thanks to its completely new bodyshell: first, excellent driving dynamics due to the body’s extremely high rigidity; second, a weight saving of approximately 50 kg in the bodyshell as a result of an intelligent lightweight construction. To meet the second requirement, we employed innovative and precise techniques for combining various materials in order to utilise specific material properties exactly where they are needed. For the bodyshell, therefore, we used very thin, but nevertheless extremely rigid, sheets of steel. Aluminium and magnesium were used extensively in areas such as the roof, underbody, front end, doors, rear wings and engine compartment and luggage compartment lids. Lightweight magnesium was also selected for the cockpit support beam. Such material efficiency is key to reducing the overall weight and, as a result, fuel consumption of the vehicle. 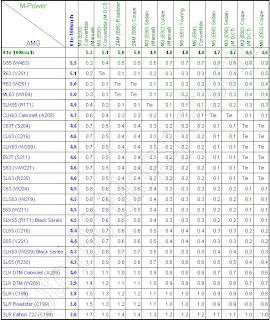 For the driver, this intelligent blend of materials reduces the weight of the vehicle and offers a high level of comfort thanks to excellent vibration-damping characteristics and particularly high composite rigidity, an increase in dynamic torsional stiffness of up to 25 % compared with that of the previous model, and even sportier handling despite a further improvement in the weight to power ratio. The 100 mm longer wheelbase improves comfort as well as straight-line accuracy and driving stability at high speeds and in fast corners.